Chris Packham will join Kate Humble as co-presenter of BBC Two's popular natural history series Springwatch, the BBC has confirmed. Chris joins the line-up after Bill Oddie's decision to take a break from the programme earlier this year. 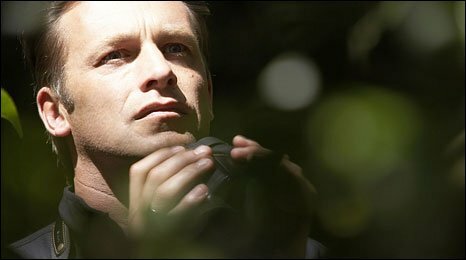 The programme returns to Pensthorpe Nature Reserve, near Fakenham, for a second season after its move to the county in 2008. Springwatch is back for three weeks from Monday, 25 May, 2009. "Pensthorpe has worked with Chris before in 2005 so we are delighted the BBC have chosen him to co-present alongside Kate and we look forward very much to welcoming him back to the reserve," said Deb Jordan, owner of Pensthorpe. Chris, a zoology graduate, has worked in television as a natural history broadcaster for more than 20 years. He started his career at the the BBC in 1985 working on popular children's series The Really Wild Show. Since then, he's carved out a successful career as both a wildlife photographer and a natural history broadcaster, being most recently seen in Nature's Calendar and Nature's Top 40 for BBC Two. "To be asked to be the new presenter of Springwatch and Autumnwatch was a dream come true. I hope to make a real contribution to the team," said Chris. 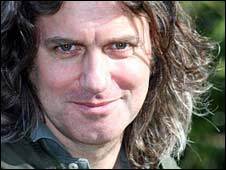 The regular Springwatch team of Simon King, Kate Humble and Gordon Buchanan will all be back in May 2009. "Chris and I have worked together before and he really knows his wildlife, so I was delighted when I learned that he was to be my new co-presenter," said Kate. When the programme returns to the wildlife reserve at Pensthorpe, the team will be also be joined on screen by former Springwatch producer Martin Hughes-Games. Martin is hugely passionate about wildlife and is an active conservationist. Having spent more than 30 years working in television, programme credits include Shetland Diaries with Simon King and BBC One's Incredible Animal Journeys. Usually found busying himself behind the scenes, Springwatch '09 marks his debut in front of the camera. "It will be a real challenge swapping life behind the camera to life in front of it, but I am really looking forward to the challenge," said Martin. Pensthorpe Nature Reserve, located in the Wensum Valley, covers more than 600 acres and is celebrating its 21st anniversary this year. The River Wensum, which runs through the reserve, is a Special Area of Conservation (SAC), Europe's highest nature conservation designation. The river is home to the endangered white clawed crayfish, otters, brown trout and the regionally threatened bullhead. Other habitats featured are ancient woodland, wetland, wildflower meadows, marshland, and Breckland grassland, heath and scrub which is ideal for ground nesting birds. "We have achieved a great deal out on the Reserve since last year's show which we are sure will make for some really exciting TV this year," said owner Debs Jordan. Springwatch runs Monday to Thursdays from 25 May to 11 June, 2009.